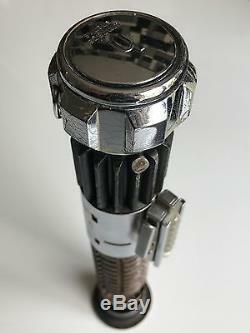 This is a perfect replica of the lightsaber hilt used by Alec Guinness as he filmed the exterior scenes for Star Wars (episode 4; A New Hope) in Tunisia in 1976. 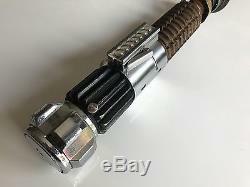 The saber is constructed from genuine, screen-accurate, vintage parts as follows. 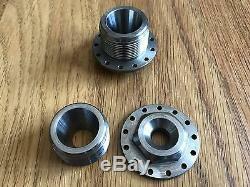 Rolls Royce Derwent Mk8 jet engine balance pipe (male side). 1 rifle grenade fragmentation body & windvane. 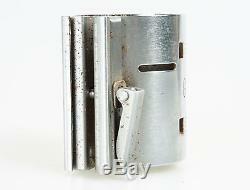 1930's Graflex large-format camera flashgun clamp. 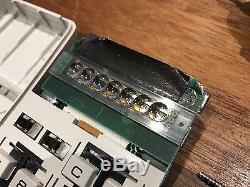 1974 Texas Instruments Exactra 20 calculator display bubble-strip. 1970's Armitage Shanks Starlite sink-tap knob, with accurate D-ring installed. 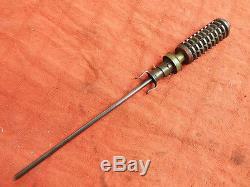 The only part on this saber which is not a genuine vintage part is the Browning ANM2 booster which is so rare I have never seen one come up for sale that wasn't still attached to a WW2 fighter-wing machine gun! 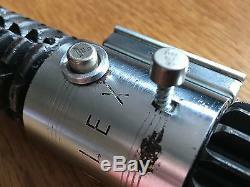 The balance pipe is attached with a Browning booster bearing cone made by'Teecrooz' and there is another of his booster bearings inside the Graflex clamp. Collecting the parts for this replica took over a year and considerable expense so I will not be taking silly low offers. 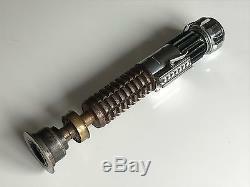 The item "Star Wars ANH Obi-Wan Kenobi Lightsaber REAL PARTS" is in sale since Monday, July 24, 2017. This item is in the category "DVDs, Films & TV\Film Memorabilia\Props\Reproduction". The seller is "silverside1965" and is located in Bude, Cornwall. This item can be shipped worldwide.